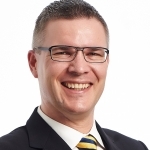 Gert Noordzy is an international hotelier, organisational project management expert and doctoral candidate. Gert graduated from Hanze College Hotel Management School in Zwolle, the Netherlands, and holds an MBA from the University of Saint Joseph in Macau, China, with majors in strategic management and marketing, as well as financial and business analysis. He is also a Certified Associate in Project Management (CAPM) from the Project Management Institute and holds a Financial Advisors’ International Qualification (FAIQ) from the Chartered Insurance Institute. Gert has more than 20 years of professional experience in Greater China and Southeast Asia. He has been involved in the opening of over 30 new hotels and 3 integrated resort destinations. He first started researching hotel opening processes in 2008, and is the author of the book on Project Management of Hotel Opening Processes, which has been translated into 11 languages. His personal objective is to help the hotel industry transform itself and embrace project management as a strategic competence. Gert is an avid blogger on the subject for HOTELSMag.com. Gert is Managing Director of Northside Consulting Company Limited, which specializes in Organisational Project Management for the hospitality industry. Services provided include pre-opening support for new hotel projects. Pre-opening round table: avoiding surprises and achieving alignment – is it really possible?